This image was taken in the hours before sunrise, the blue hour. 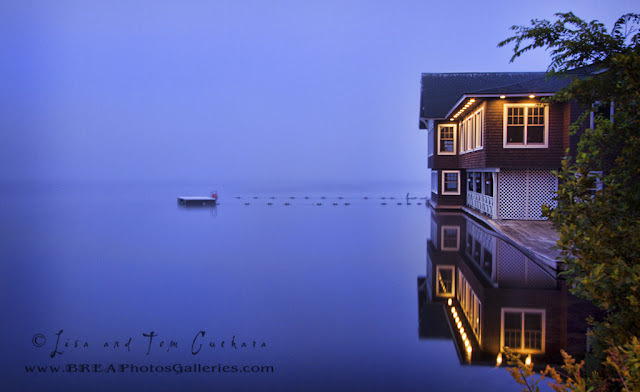 The water was so still, the warm colors of the boat house contrasting against the cool colors of the water, the fog and the dock leading to the boat house just seemed perfect to me. I am not a morning person, but finding and capturing scenes like this makes getting up early worthwhile. This was taken on Mirror Lake in Lake Placid.